Prawns are often considered to be large-sized shrimp, although, in reality, the two come from different families. Still, prawns taste similar to shrimp and have a similar nutritional profile. 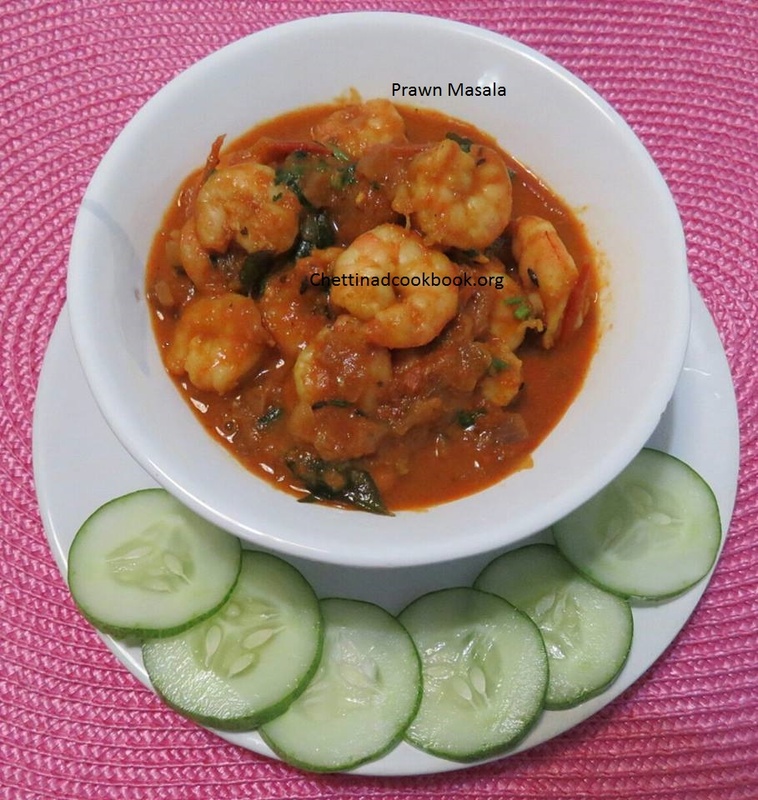 Delicious prawn or Shrimp Curry is aromatic and palatable dish it can be done in gravy or semi gravy or in dry masala form with the below-mentioned method of preparation. 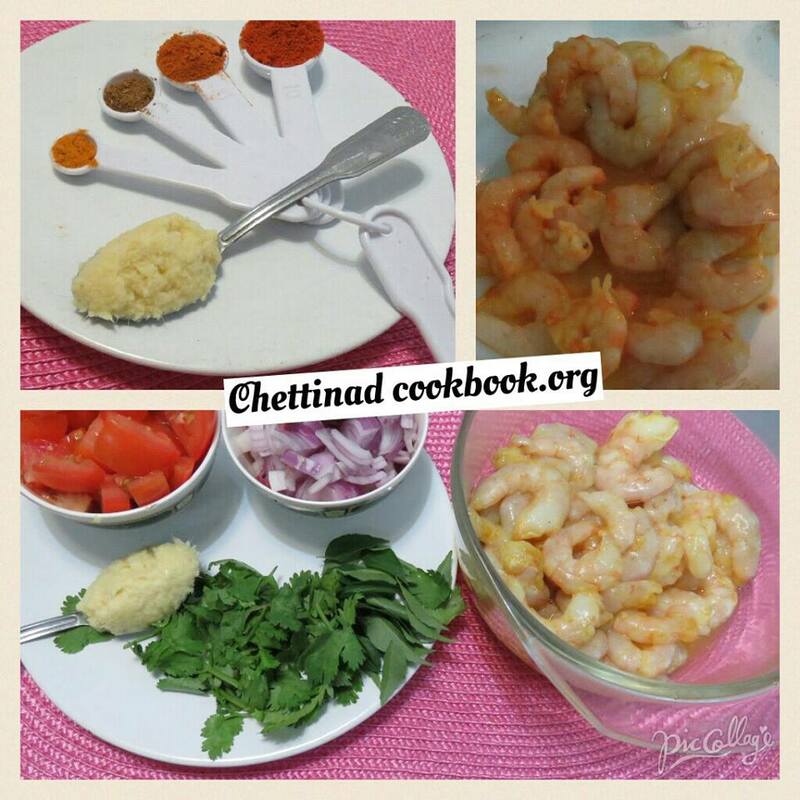 Prawns are a good source of unsaturated fat, which makes up the majority of its fat content. Unsaturated fats can help improve your blood cholesterol levels when you eat them in place of saturated or trans fats. Prawns, like other fish and shellfish, are also a good source of omega-3 fatty acids — essential fatty acids your body does not produce. Omega-3s can reduce inflammation and your risk of heart disease, cancer, and arthritis, as well as help with brain function. While prawns are a low-fat food and contain many healthy fats, they are also rich in cholesterol. 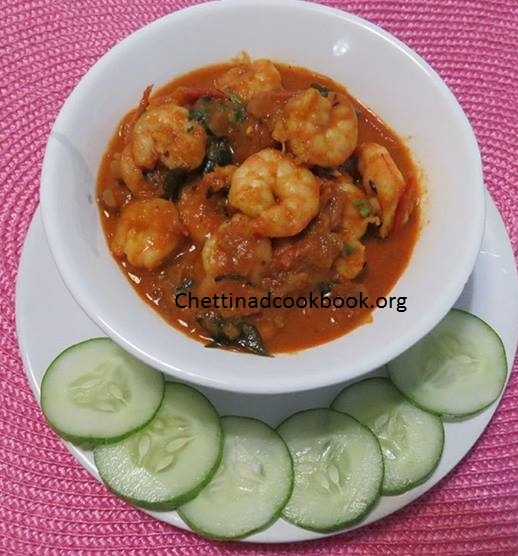 Despite the high cholesterol content, prawns are still a healthy alternative protein source. While prawns are a healthy food choice in general, they are also naturally high in sodium. 1. Wash and discard shell, marinate with salt, finely chopped garlic and turmeric powder set aside. 2. Heat oil, season it with fennel seeds, add chopped onion fry till translucent, add chopped tomatoes fry till it leaves its skin. 3. Add ginger garlic paste and curry leaves till it looses its raw smell, now add all masala powder one after the other add salt and allow it to boil for five minutes in medium flame, let it be in semi gravy form. 4. Heat another pan spray some oil, shallow fry marinated shrimps for not more than two minutes. 5. 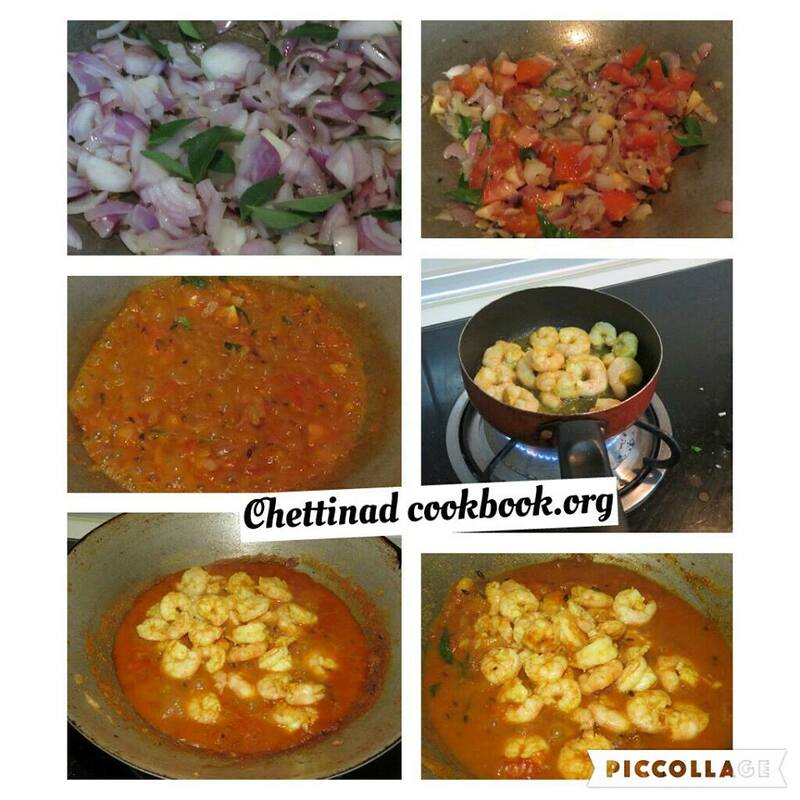 Add fried shrimps to the boiling masala and allow it to cook for 3 minutes. 6. Sprinkle chopped coriander leaves on top mix well and switch off the stove.